This Workshop is the first of two identical organised by ESA for primary and secondary school teachers in 2017, and took place in Leiden, the Netherlands, from 11th to 14th July. The second workshop will be held in October 2017. 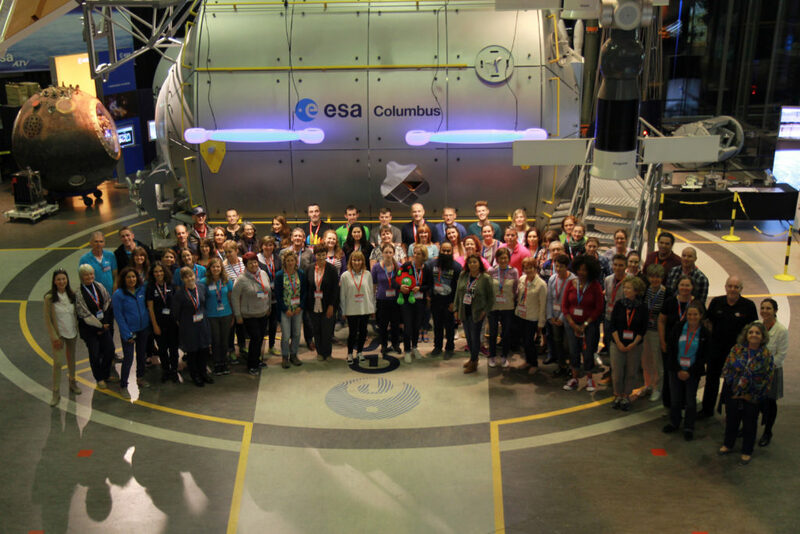 Fifty European teachers took part in 4 days of challenging classroom work at ESA’s Summer Teacher Workshop this year. The workshop was meant to provide teachers with tools and practical ideas on how to run their classroom lessons using space as an inspiring context. The activities were proposed along three different space themes: rockets and launchers, Earth observations, and Space exploration. Nordic ESERO lead the Earth Observation session for secondary school teachers. The title for the daily activities was «Taking the pulse of our planet». ESA is increasingly focusing towards climate related topics, and how to implement them as part of the school curriculum. Therefore, this session was especially important in the ESA educational strategy for the future. How to use available educational tools, like satellite image portals. How to use GPS to perform on-field experiments and compare afterwards this on-site information with information available from the satellite images. In addition, the teachers learned how the satellite images can help to explore features that may be related to climate, like the variation of the glaciers front, the changes of forests with time, and how to analyse the health of the vegetation.